WRITTEN WORK: Its past honorees include Olive Senior (second right), Vladimir Lucien and Kei Miller, who’ve all heard their names announced during the main festival, held each year in Port-of-Spain, Trinidad. 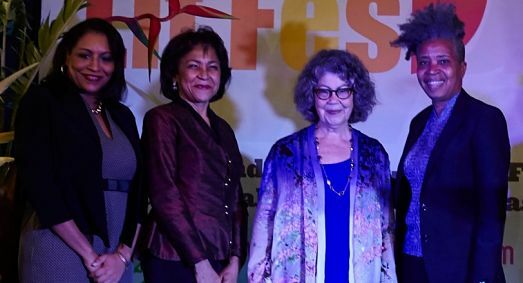 For the 2018 renewal of the OCM Bocas Literary Festival & Awards, scheduled for April 25-28, some of the region’s best writers will be vying for top honours in the categories of fiction, poetry and non-fiction. Submissions are now being accepted. 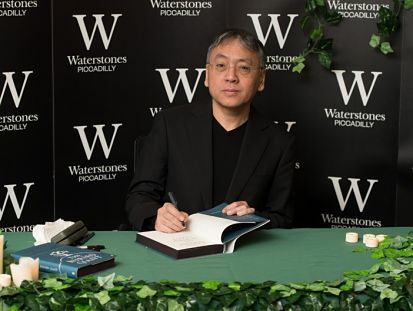 November 10 is the deadline for books published up to October 31st, while January 8 has been set as the cut-off date for submissions published between the 1st of November and the end of December. Jamaica’s reigning Poet Laureate Lorna Goodison is chairing the distinguished panel of international judges. Visit bocastlitfest.com for more info. BEYOND THE BOUNDARY: How and when did the gold standard of West Indies cricket fall off? 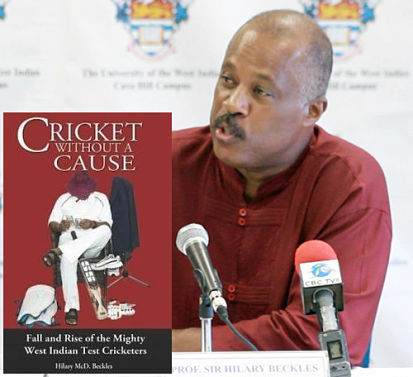 In his newly published book, Cricket Without a Cause: The Fall and Rise of the Mighty West Indies Cricketers, scholar, author and commentator Sir Hilary Beckles valiantly attempts to pull back the veil on the legacy of the sport in the region, exploring the current status of West Indies cricket and the factors which led to the regional side falling so close to the bottom of the international Test rankings. Published by Ian Randle Publishers, Cricket Without a Cause was recently launched at King’s College, London University, and upcoming launches have been scheduled for Barbados and Jamaica.